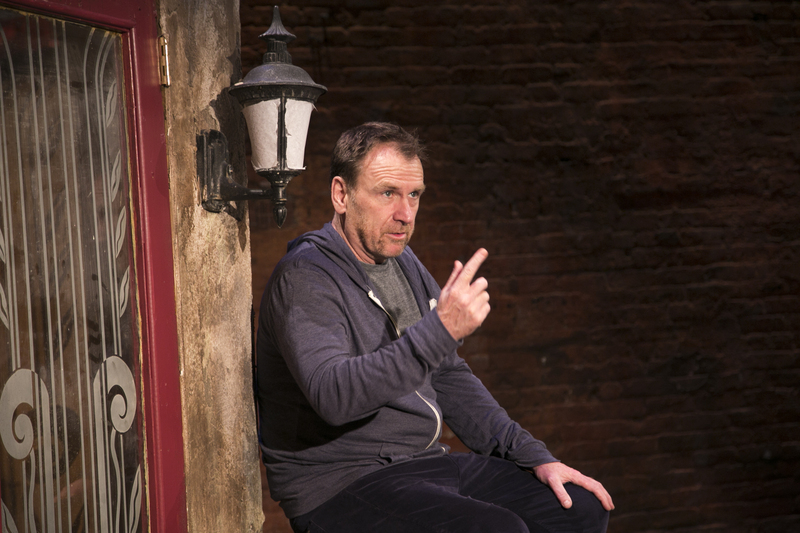 NEW YORK—Deliciously politically incorrect and based on his book “The Coloring Book,” Colin Quinn uses his new one-man show “Colin Quinn The New York Story” to answer the age-old question: Just what is it that makes New York City so special? Think about it. The city is dirty; the transit system is not the best (neither above nor below ground); just about everything is overpriced, and good luck in trying to find a parking spot. It’s freezing in the winter, smells terrible in the summer, and just about everyone here has an attitude. Yet, New York is a tourist magnet for the entire world, and the majority of those lucky enough to live here wouldn’t dream of moving anywhere else. As Quinn sees it, it’s the city’s pace, energy, and most of all, the people. So what’s the attraction? As Quinn sees it, it’s the city’s pace, energy, and most of all, the people. You’d be hard-pressed to find all these elements elsewhere. This special energy, according to Quinn, is something that’s a part of the New Yorker DNA. To prove it, he takes his audience back to where it all started—the 1600s to be exact—when the Dutch first came to the area and ended up buying Manhattan for $24, or so the legend goes. From its beginnings, he then examines the various peoples that came to the New World and how certain qualities from each of these groups became part of the quintessential New York makeup. These qualities include abruptness, a sense of superiority (“New York ___ are the best in the world”), sarcasm, assertiveness, volume, work ethic, and a sense of fun. Quinn tosses off one backhanded verbal barb after another, all the while injecting a 21st century viewpoint with absolutely hilarious results. Humor such as presented here—that of gently chiding one ethic group and/or segment of the population—has pretty much fallen out of favor these days. Yet ironically enough, such humor can be a great equalizer. It offers a common bond to which we can all relate. Indeed, many people in the audience were often nodding knowingly when Quinn brought up certain situations and stereotypes. Who doesn’t know someone who over-exaggerates at the drop of a hat, who profusely apologizes when swearing and then goes on to drop several four-letter words in the same sentence, or who is overly resistant to change of any kind, regardless of ethnicity? Quinn tosses off one backhanded verbal barb after another. 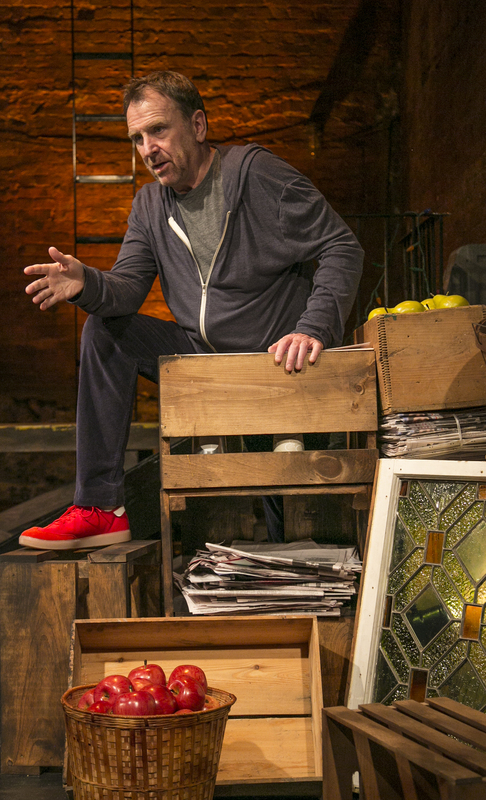 This familiarity allows the audience to share in the experience—not only with Quinn, but with others attending as well. On a more serious note, Quinn talks of the concept of neighborhood, where each block, location, or parish once had its own charm and individuality. A lot of that familiarity has been lost over the years, particularly with the advances in technology. After all, who needs an expert in sports trivia, a fellow who knows the best places to eat in a particular neighborhood, or even the person who can give the best directions to a given area, when all one has to do now is look up the desired information on the handheld device of one’s choice? As always, just as something is gained with every new advance, something is lost as well. It’s the same argument that had cropped up every so often about the homogenization of our culture due to television. People seeing American television programs—both in this country and in others—tried to emulate that way of speaking in order to appear more cultured. Of course, in doing so, they lost their own particular or regional dialect, thus losing a bit of their own identity and history. Similar to how Quinn relies on humor to jibe at New Yorkers’ foibles, he also considers our capacity for mind-numbing nostalgia. He notes that the good old days weren’t anywhere near as perfect as we often like to think. In the late 1970s and early 1980s, New York was a pretty scary place, one where “pimps used to be lined up like Citi Bikes.” And for those of us old enough to remember (and, yes, I’m dating myself), the Times Square area was definitely not the safest place to be. Even in broad daylight. 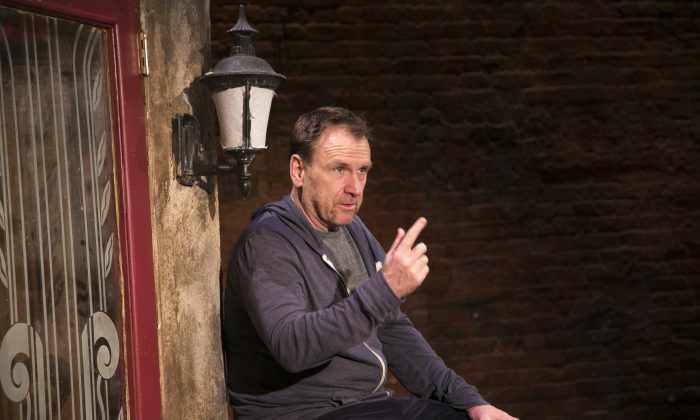 Immediately ingratiating himself to the audience by strutting around the stage like he owned it—another typical New Yorker trait—Quinn is a top-notch storyteller. He tosses off yarns with the matter-of-fact air of someone who’s seen it all. He’s helped in this department by the direction of Jerry Seinfeld—someone else who knows comedy quite well. Quinn’s explanation about the mystic, special “thing” that makes New York completely unlike any other place in the world may be right on the money, completely off the mark, or somewhere in between. But the arguments he presents are funny and just off center enough to make perfect sense. Just like New York when you stop to think about it. Christopher Marlowe's "Doctor Faustus" is being offered by Classic Stage Company (CSC). "Amazing Grace" tackles the subjects of slavery and faith using the real-life history of John Newton, who would go on to write the song "Amazing Grace."